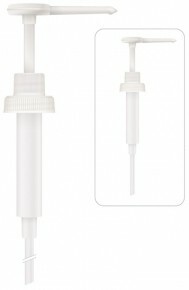 Reusable Pumps and Bottles, by Bon Vital, make it possible to change the pump on a tub, bottle, or jar of lotions and oils when they no longer work effectively without loosing the functionality of the original packaging. 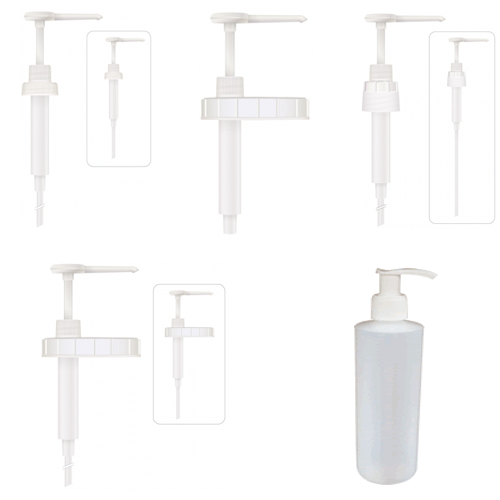 The reusable bottles are perfect for refilling from a larger tub or bottle. 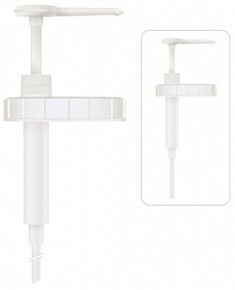 The pumps are designed for use with the massage oils and Lotions. These pumps are designed for use with the Massage Accessory Lotions that come in tub, bottle , and jar form, such as, the Bon Vital Naturale Lotion. 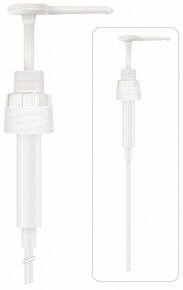 With these pumps, you could purchase a large tub of Oil or Lotion and refill one or more smaller tubes as needed. I bought one of these to put my order over $100 to get the free shipping. I use it for soap in the bathroom and I ended up buying more with my next order for my other bathroom and the kitchen. Now I just buy the big refill bottles and save a few dollars. I bought the 8 oz. bottle, so that I can refill it from the larger bottles. It's more cost effective than buying a bunch of small bottles. It's good to have a few pumps when you buy one of the large, clinic sized tubs. Pump heads tend to wear out before the lotion runs out.